Jamie is Ladder Life’s CEO and Co-Founder. He believes life insurance is a fundamentally great product for families and communities and so built Ladder Life to be the instant, simple, and smart way to insure your life. 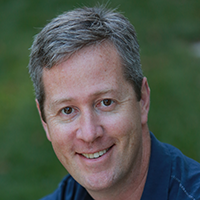 Prior to co-founding Ladder Life, Jamie was Partner at Aldenwood Capital and at Oak Hill Investment Management. He also worked at NextCard, pioneering instant credit and the first ‘internet enabled’ Visa card. Jamie is a graduate of Bowdoin College and Harvard Business School.